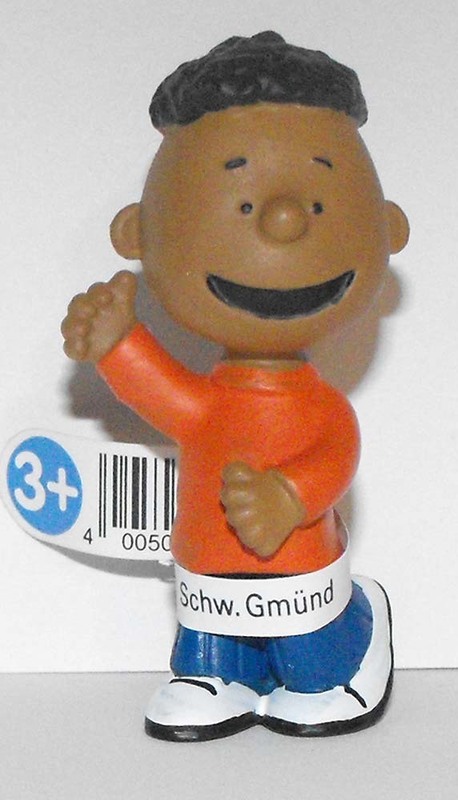 This Peanuts figurine is about 2 inches tall (5cm), made of PVC plastic and is made by Schleich in 2014. Franklin was introduced as the first African American character to appear in the Peanuts comic strip. Franklin shares many interests with Linus, being equally well versed in the Old Testament, and appears to have the best friendship with Charlie Brown, after meeting him at the beach.